We are pleased to announce the birth of the Canterbury distribution. Canterbury is a merge of the efforts of the community distributions formerly known as Debian, Gentoo, Grml, openSUSE and Arch Linux to produce a really unified effort and be able to stand up in a combined effort against proprietary operating systems. To show off that the Free Software community is actually able to work together for a common goal instead of creating more diversity! Arch Linux has always been about keeping its technology as simple as possible. Combining efforts into one single distribution will dramatically reduce complexity for developers, users and of course upstream projects. Canterbury will be the next evolutionary step of Linux distributions. While DEX (Debian Derivatives Exchange) might have been a good idea in principle, its point of view is too limited. We need to reach out further for true success. We managed to create a universal live build framework with grml-live. 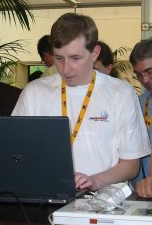 Our vision was always that it will be universally usable to further the spreading of Free Software. The conference motto was set intentional and actually this is what I had in mind as a positive outcome for the conference! Please understand that this announcement is just the first step, all the necessary changes will happen in the upcoming days. You can use the #canterbury-project hashtag to give us your thoughts and prayers on twitter or identi.ca. If you need further information don’t hesitate to contact someone from your distribution! I’m running the Canterbury pre-alpha now. It’s so great. Wow! How did you get it installed? Since there’s no installer (yet), I decided to go there from Factory using “zypper dup”. However, I couldn’t get past “zypper addrepo”. I always get “Unknown problem when adding repository:”, and that’s all. yeah its pretty easy. we jus dint release it. its under lot of testing. but the reality is more crude … i hope we may realize it before 2050.
still don’t know if it’s a joke…it’s april fools’ day. Too bad it is a joke. Can you imagine what would be possible if the community could collaborate this much. Wow! Again, too bad. What a great name. At least it shows that there is a dream like this embedded at the core of the open source community. Well done. Collaborate that much? Meaning putting rpm and deb packaging together? Please think, it doesn’t hurt. Interesting Linux news, but still will not unseat Ubuntu. I kinda wish it was real, because it probably would. But then again anyone who can use the command line would just leave it immediately and go to something better/more complex/the home of elitists (Crunchbang (my opinion), Arch(? ), and of course Gentoo). But it would be cool as hell. Guys, you make fool of people by this, although it is the only thing that you should really do to give the world an already useable OS. wouldn’t it be nice to reduce millions of peoples everyday sucking just by making ONE useable system instead of hundreds of tens of crappy? Actually… I think there is truth behind this! I think that some of the people behind this are looking to see how much people would like the idea… And I think EVERYONE likes it! This is a sick joke. A merger like this could change the open source world. This is not even funny if it’s truly a joke, because everybody who uses your software wants it… we want GNU/Linux to raise and take down Apple and Microsoft and their closed-minded proprietary ways. 5 of the most powerful and awesome Linux distro’s on the planet teamed with the already mighty Ubuntu Linux will set in motion a turn of heads the world around. Stop Joking (if you are) and get real! Yeah. We all hope that this is a true news. 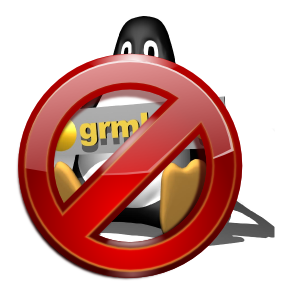 We all hope that GNU/Linux can win MS&Mac over. A usable and cheap OS is needed. If the Canterbury is not just a dream, that’s the best gift for me before End of the World really comes. It’s a joke of course. But I hope this will happen in future. 1. Whether is a well machined hoax or not, is irrelevant here. I think, this is a piece of news that potentially groundshakes the mind of several thousand linuxusers globeround. An idea, when seeded, in fertile minds might (and with atonishing freq, will) germinate into facts. The canterbury innitiave has all potential to be pulled on by many, that have the means and the skill to really give it a true 1st of april birth. 2. About the convenience of a huge unified linux distro. This is notably something that has already been called by other commenters above. Indeed a cool idea. Indeed a mechanism of centralizing efforts and create unification that leads to (potentially) simpler development, given that software innitiatives would not be troubled working here but not abhere. 3. About the inconvenience of a huge unified canterbury tale. Linux greatness is also enhanced by its diversity. By the complexity that it cannot really reach a common ground. The diversity creates complexity, but makes us really free (as in free linux), because we can choose. We choose our distro name, our kernel, our browser and who and how plays our music library, and so off. That diversity makes the GNU/Linux innitiave also non-stoppable by the infinite resources of the software monopoly, because there are way too many names, way too many names. Unification, though, may be unfriendly to diversity. Diversity that, I hope, is on the root itsef of the linux community-kernel. Friggin liars. What is it about people ‘celebrating’ a day for lying, Morons. This reminds me the anime “Voltron – Defender of the Universe”. The one and only search engine has just announced, that they made a big step towards “redundant information prophecy”, project name is: RIP. After years of collecting data, they came to the conclusion, that all men are little boxes, and they’re all just do the same, so they designed a standard document of one size that fits all and expresses everyone’s opinion. It is now proposed as the standard “42”, displayed whereever anyone looks for the answer to “Life, the Universe and Everything” or anything related. Please do not complain, if the document contains no data: It’s all up to you! As usual. this annoucement is posted too late, because time goes by. One unified distribution is maybe to much, but there is one -relativly simple- thing which could be done and would greatly simplify things. At the moment every distribution has it own repositories with its own packages depending on its own guidelines. The problem with that is that developer have to package their software/get their software packaged for every single distribution. Why not making a kind of central package repository fitting the needs of every major distribution? The openSUSE version for 2013 could have http://www.linux-packages.org/repos/2013 as repo for most packages and http://download.opensuse.org/distribution/12.0/repo/oss for SUSE specific packages. The ArchLinux version could use http://www.linux-packages.org/repos/newest etc. etc. Users from one distribution can help the users of the other distribution more easily as the packages are more similar. Developers need to invest less time into supporting Linux as they need to package it only once to support all of them. All in all it’s simply simpler as the distributions share more. I wished so much that this wasn’t a joke. Now the fragmented Linux community? Talk about funny… I guess Ubuntu will remain the closest thing we have. This is something Ubuntu is definitely lacking! The saddest part about this April Fools’ Day joke is that this is exactly what you should be doing (instead of making fun of it). Having a bazillion of distributions just makes it worse for users to get a grasp of what is going on. It is more demanding for hardware vendors and software developers to support all the desktop OSes. It is only M$ who is benefiting from the whole situation. Seriously. You should think about such a merger if you want to really make a difference. If you don’t you will be stuck with your user base of a couple of thousand (maybe tens) which is nothing compared to millions of Windows users. So it was not an 1st april joke?? You seem to be serious, and I am furious. I did not stick to SUSE for over a decade, to be told one day that thing is going to be sold and resold and finally merged and vanquished. It’s actually the best April Fool I ever experienced, was hooked 30 minutes :). It’s a very nice dream and I think this joke will have real impact on the community. Great idea, great effort, guys, don’t take it too seriously, relax. There are cons and pros to the joke “if real” – I personally like the choice we have as it is. Sure, a unified organisation where say hardware issues and such are worked out would be great for Linux… but come on guys …. not once distro can beat the awesome power of SUSE w/KDE desktop! As for MSFT – they are burring themselves – Windows 7 is a flop in regard to being advanced where viruses can’t harm “essential” OS files! I have already had to repair numerous Windows 7 machines for people. In fact, windows users should just stick with Windows XP and boycott the revenue scam called Windows 7. Better yet, Windows 7 users – it is a great time for you to try SUSE Linux! Make a Live DVD with KDE desktop – if you like it you can install SUSE on your HD and it will partition the HD for dual boot! All hail the mighty power of SUSE!! It is not speakable outside of England and USA. Funny joke, but it would have been really cool if it was truth. At first I fell for this April fools joke. I was really scared that this was going to happen, but then I realized that it was April 1st. I can’t believe how many of you actually want this to happen. GNU/Linux isn’t a great operating system simply because it is free open source software; it is also the competition between the distributions that drives development forward. Should all these distributions be combined into one, GNU/Linux would be nothing more than another Windows / Mac OS / other slow to add new features operating system. I knew it was a joke but I refused to believe it at start. I really would want it to be true. That kind of union could be promising. This is great news! Been hoping for this for years!